Open Mic Night on 2nd floor 9 p.m.
Pitcher Specials: $7.00 Pabst Blue Ribbon; $9.00 Bud Light, Coors Light. Buy this season’s Eagles Super Mug for $5 & get $2 refills of Bud Light — every Eagles game — all season long! Join us for $2 mugs of McGillin’s 1860 IPA by Stoudts Brewing. 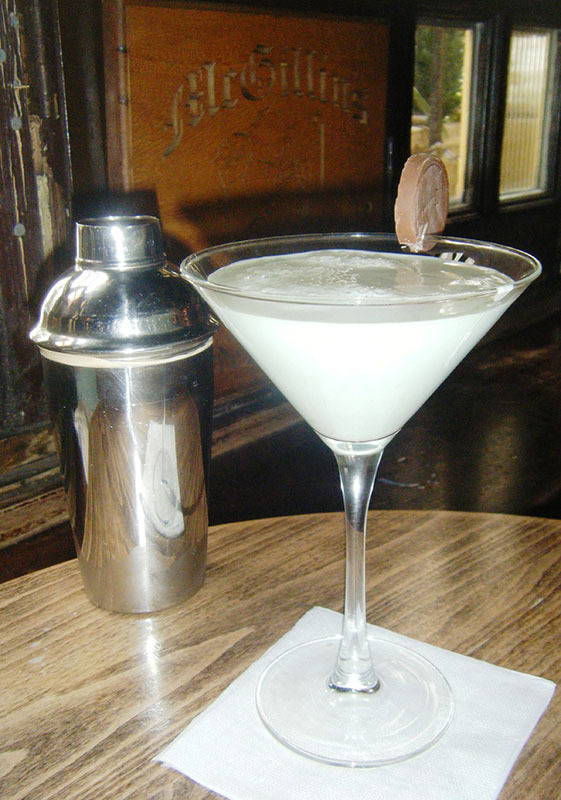 Plus Beertinis (Stateside Vodka, Philly Brewing Company’s Walt Wit & lemonade in a martini glass). April 7. Come drown your sorrows with Pints of McGillin’s Real Ale & McGillin’s Genuine Lager. If you’re lucky enough to get a refund, spend a wee bit celebrating — at McGillin’s. April 15. Stop at McGillin’s to watch the draft on our high def & projector screen TVs. $3.99 cheese nachos, $3.99 margaritas, pitcher specials. April 25, 2019. Instead of doing something stuffy and uncomfortable, bring your administrative professional for lunch at McGillin’s. And, whatever you do, don’t forget! Featuring Raspberry Lemoncello Martini, Phillie-tinis, Peach Cobbler Martini, Philly Shandy, Aperol Spritz, Garden Mule & more. Celebrate this Mexican holiday at an Irish fiesta! Serving rotating list of Mexican dishes and margaritas, daiquiris & Mexican cocktails. May 5. 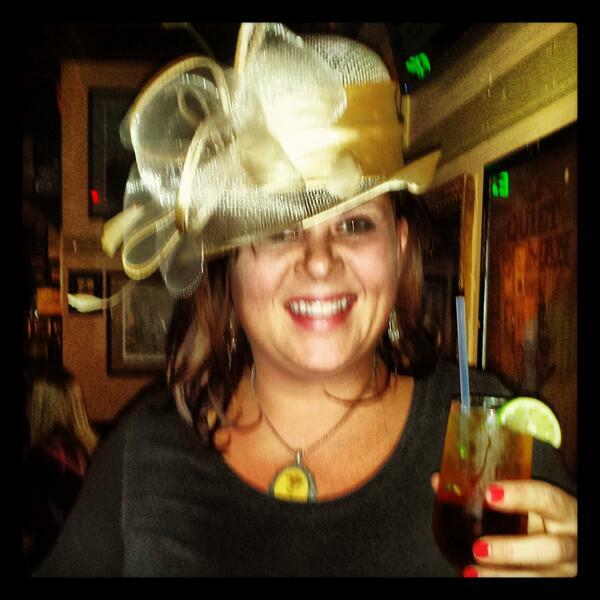 Don your best headgear and join us for Mint Juleps & “horsing” around. First Saturday in May. 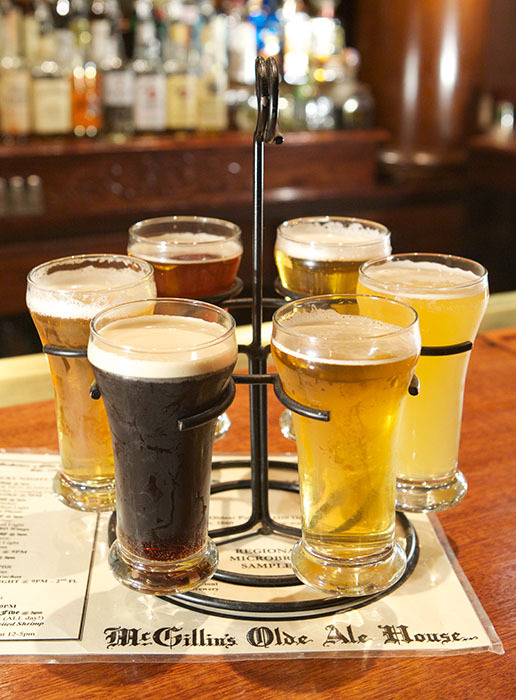 McGillin’s welcomes some of the region’s best beers! Drury Sunset, Peaches & Cream Daiquiri, Raspberry Limoncello Martini, Fresh Watermelon Margarita, Mango Mojito, Philly Shandy, Watermelon Spritzer, Aperol Spritzer, The Cleanse and more. 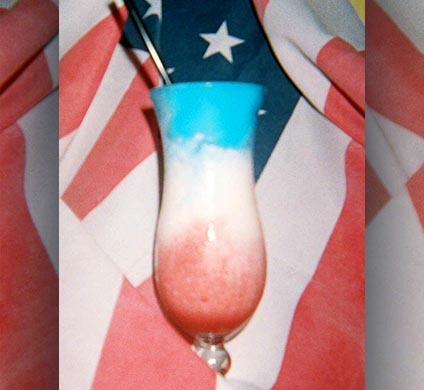 Great day to cool off with a Red, White & Blue Freedom Cocktail. June 14. Join us at the “James Joyce” table where we’ll be reading Ulysses (11 am – 5 pm) in honor of Bloomsday (June 16). Want to be a reader? Email mcgillins@aol.com. Serving O’Hara’s Stout from Ireland, Dublin Donkeys & Irish Breakfast ALL day! 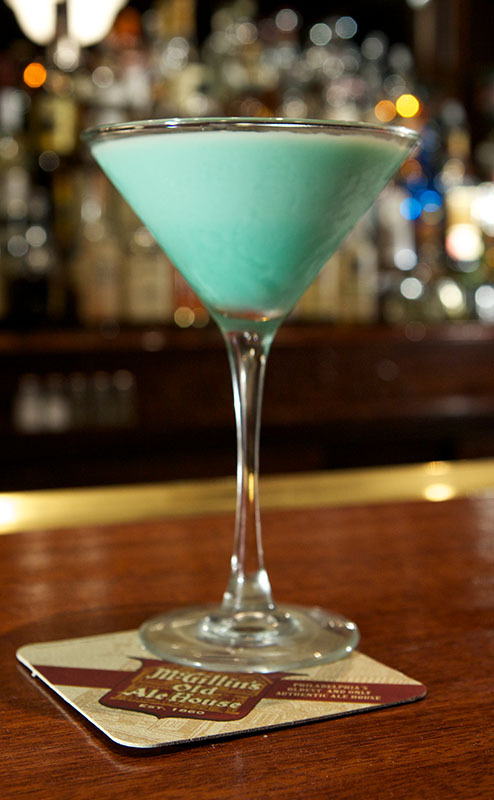 On June 19 we’ll celebrate National Martini Day. Drink where your father drank when he was your age. And maybe he still downs a few brews here with his buddies. Added bonus: McGillin’s is run by a father/son team. Third Sunday in June. Offering specials during World Cup games: Sound off, except for the final game. Join us on July 3 for patriotic specials. We’ll be closed on the 4th of July – 1 of only 6 nights a year that we close so staff can celebrate the holiday with family & friends). We’ll be back at 11 am on July 5th. 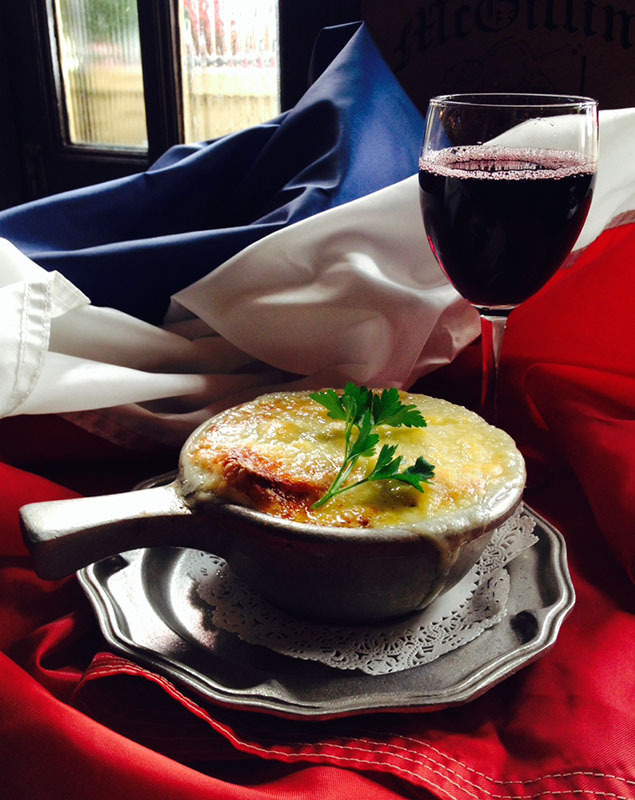 Stop by on July 14 to celebrate Bastille Day. Enjoy our margaritas — McGillin’s Original Margarita, Fresh Watermelon Margaritas, Peach, Strawberry & more — on National Tequila Day! July 24. Watch the World Cup at McGillin’s! McGillin’s month-long Oktoberfest celebration runs from late August until the Midtown Village Fall Festival on the first Saturday in October. Serving Oktoberfest beers & German food specials. This year we’ve joining forces with Dominion Brewing Company to launch our own Oktoberfest beer! Plus Oktoberfest beers from Sly Fox, Lancaster and Stoudt’s. Plus Pumpkin beers! Plus rotating list of food specials including: Mussels steamed in Octoberfest Lager and served over hay and straw noodles with German-style toasted cheese bread; Grilled Pork Loin served with Sweet and Sour Cherry Sauce, Braised Cabbage, Apples and Potato Dumpling; and German Style Grilled Sausage Platter with Bratwurst and Knockwurst with Red Cabbage and Warm German Potato Salad served with German-style Cheese Toast and Dark Mustard; and Kasebrotchen Chicken, Chicken Breast topped with German style Spread (Ale, Brown Mustard, Sharp Cheddar Cheese) baked to a bubbly finish and served with Heaven and Earth (Himmel Und Erde), Potatoes sautéed with Apples and Bacon, served also with Red cabbage and German-style cheese toast. McGillin’s month-long Oktoberfest celebration continues through the Midtown Village Fall Festival on the first Saturday in October. We’ll be serving Oktoberfest beers & German food specials. This year we’ve joining forces with Fordham & Dominion Brewing Company to launch our own Oktoberfest beer! Plus Oktoberfest beers from Sly Fox, Lancaster, Stoudt’s, Beck’s and Warsteiner Brewing. Plus Pumpkin beers! Get this season’s Eagles Super Mug for $5 & get $2 refills of Bud Light — every Eagles game — all season long! McGillin’s month-long Oktoberfest celebration continues through the Midtown Village Fall Festival on the first Saturday in October. We’ll be serving a rotating list of Oktoberfest beers & German food specials. Outdoor Beer Garden with karaoke & festivities throughout the neighborhood. In Midtown Village on the first Saturday in October. 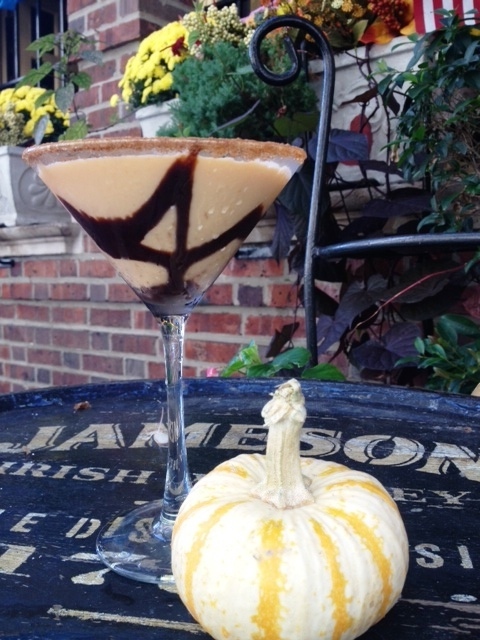 Our original Pumpkin Martini, Maple Old Fashioned, Pumpkin Spiced Hot Chocolate or Coffee, Caramel Apple, Autumn Mule, Fall Sangria, Drunken Pumpkin, Irish Hot Apple Cider, Pumpkin Bomb and more! Plus a rotating list of Pumpkin beers. We’ll also offer a rotating list of pumpkin food specials including Pumpkin Mac & Cheese, Pork Pumpkin Apple Cider Stew and more. On October 31 come in costume. Contest with prizes at midnight. Meet our ghost! Scaraoke – costumed karaoke. Pumpkin Martini, Eggnog Martini, Candy Cane Martini, Poinsettia (split of champagne, cranberry juice, triple sec/mix your own), Snowshoe (hot chocolate, butterscotch liquor, served in a mug with whipped cream), White Christmas Sangria, The Grinch (Stateside Vodka, melon liquor, sour mix, club soda), Old St Nick (Hot Apple Cider, Captain Morgan’s Spiced Rum in a mug with cinnamon stick), Merry Mule (Ketel One, Ginger Beer, cranberry) and more! We’ll celebrate the way May McGillin always did – by giving out carnations. In 1937, on her 90th & last birthday, she gave out nearly 4,000 carnations. Enjoy a $5 glass of beaujolais nouveau on the third Thursday in November. Half-priced French Onion Soup too! Third Thursday in November. Get your Christmas spirit (& spirits) at McGillin’s. Make it a tradition to stop by before/after shopping & Christmas shows for meal/drinks. McGillin’s Olde Ale House is like a Winter Wonderland with hundreds of ornaments, bows and strings of lights. Open 7 days a week. Closed 6 days a year – Easter, Memorial Day, 4th of July, Labor Day, Thanksgiving, Christmas Day. Close at 5 p.m. on Christmas Eve. Get your Christmas spirit (& spirits) at McGillin’s. Make it a tradition to stop by before/after shopping & Christmas shows for meal/drinks. McGillin’s Olde Ale House is like a Winter Wonderland with 1,000 feet of garland, 3,000 lights, and hundreds of ornaments and bows. It takes 15 people 5 hours to decorate! Drink in some liquid history at Philadelphia’s oldest continuously operating tavern! 30 beers on tap, seasonal cocktails & budget-friendly comfort food including a free bowl of soup with every lunch. Army-Navy specials: THE PETTY GOAT (Sailor Jerry Rum, Coke & O’Reilly’s Stout) & MAJOR’S MULE (Maker’s Mark, Ginger Beer & Lime). Hate to shop? You can do all of your holiday shopping right here at McGillin’s — baseball caps, gift cards, t-shirts, thongs & even a onesie to guarantee you’ll have the coolest baby at day care. Stop by & check out our McGillin’s merchandise. Mummers will be caroling throughout Midtown Village. Dates TBD. Ring in the New Year at McGillin’s Olde Ale House, Philadelphia’s oldest bar. DJ Tommy Tunes starting at 9 p.m. plus drink specials, over-the-top decor, and party favors. Cover charge TBD. 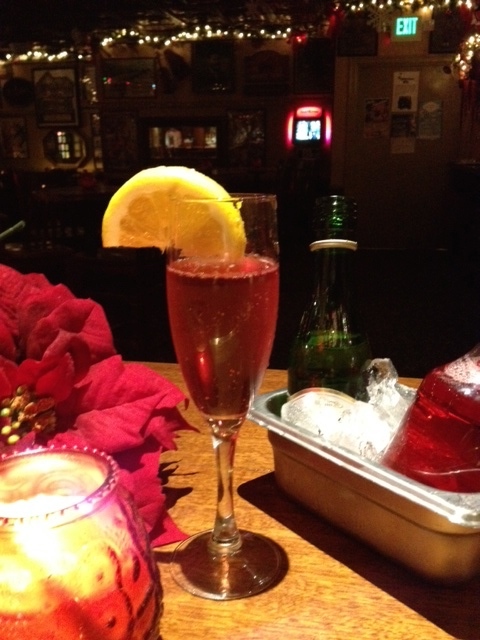 During the Mummer’s Parade, whet & warm your whistle by the fire at McGillin’s. Warm up the new year sipping an Irish Coffee, Hot (Spiked) Cocoa, Hot (Spiked) Cider or regional beer and watching the bowl games. We’ll start the new year by opening one hour early – at 10 a.m. cover charge TBD. 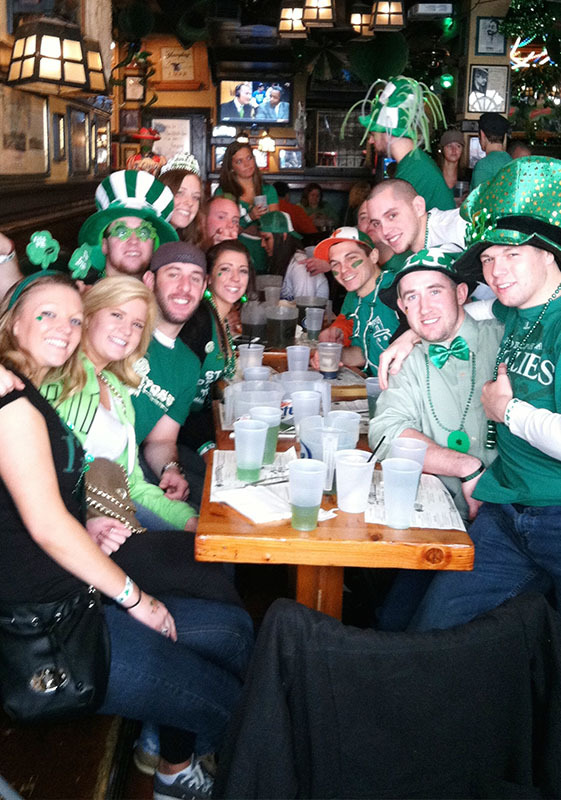 3 day weekends give us an extra night to party at McGillin’s! Watch the Playoffs and Super Bowl on our high def & projector screen TVs. Drink specials. 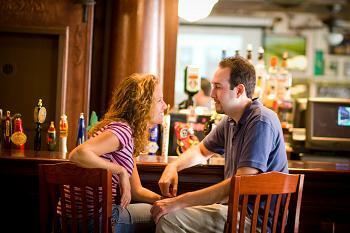 McGillin’s just a short walk from Philadelphia’s Pennsylvania Convention Center. Stop by before/after the show for a meal/drink. Serving Irish “Car” Bombs, Lincoln Cosmos, Cable Car (Captain Morgan Spiced Rum, Triple Sec, Sour Mix with orange garnish) & Rolls Royces (Blue Coat Gin, Sweet Vermouth in a martini glass garnished with lemon)! Watch the Super Bowl on our high-def and big screen TVs. Sound on. Pitcher specials. Use your 2018-19 Super Mug for the last time (or buy one for $5) to get $2 refills of Bud Light during the game. February 2, 2020. More couples have met, become engaged, hosted bachlor/bachlorette parties and even gotten married at McGillin’s Olde Ale House then anyplace else in Philadelphia. On February 14, join us for Love-themed Open Mic Night starting at 9 p.m. Drink & rotating food specials all week including Heart”beet” Salad and Heart & “Sole” and drinks: Chocolate Covered Cherry (Pinnacle Cherry Vodka, Coconut Rum, Light Creme de Cocoa, Cherry Juice, Cream), Heartbreaker (Sailor Jerry Run, Lemon & Lime soda, Grenadine), specials on pints of Love City & McGillin’s RED Ale. It’s a long weekend and that means one more night to party at McGillin’s. Third Monday in February. Freezin Flyer Fantini – Go Flyers! Stop by for $4 Margaritas. Strawberry & Peach Margaritas too! On February 22. Warm up with Spicy Jambalaya, McGillin’s Muffulettas, Blackened Catfish Sandwiches, Cajun Pot Pie, Po’ Boys and Hurricanes! Let the Good Times Roll at McGillin’s! February 25, 2020. Stop at McGillin’s for a meal before/after the show. Free bowl of homemade soup with every lunch. Rotating food specials including: Flower Pot Pie nestled in greens. Flower-themed beers from Ithaca, Troegs & Dominion and flower-themed cocktails. Close to Philadelphia’s Pennsylvania Convention Center. February 29 – March 8, 2020. Going on a pub crawl this month? 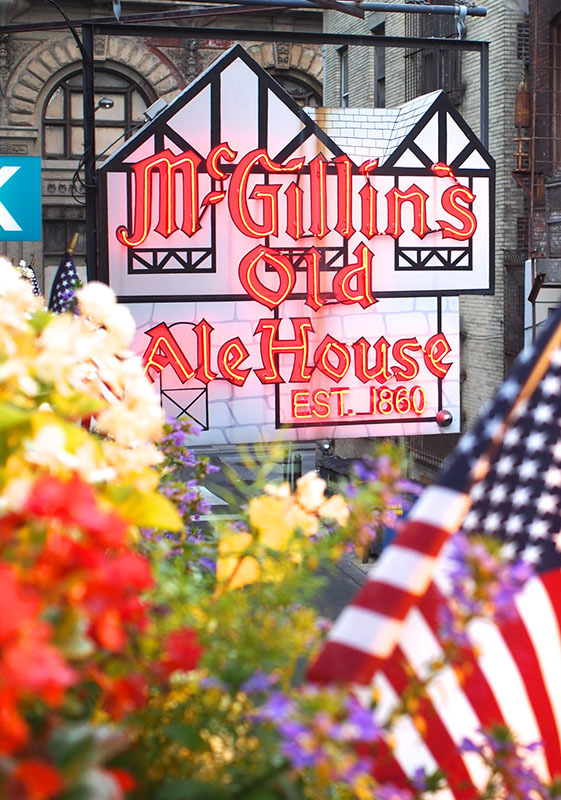 Add McGillin’s as your first or last stop! 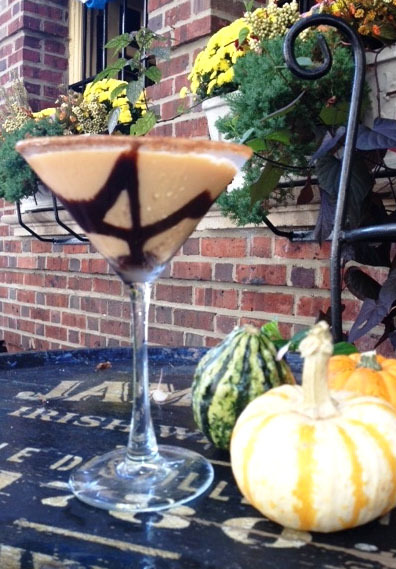 And if you’re going to the St. Patrick’s Day parade, stop by for our original Irish Potato Martini or some authentic Stout from Ireland! Serving rotating list of Irish food specials through March 16, including bangers and mash (Irish sausage & mashed potatoes), Shepherd’s Pie, Irish lamb stew, corned beef and cabbage & more. The BEST St Patrick’s Day party in Philadelphia! Green beer and green cheer. March 17! Opening at 10 a.m. – 1 hour early. $5 cover. Watch the games on the high-def & projector screen TVs at McGillin’s! See nightly specials above. No tickets? No worries. Watch the game on our high def and projector screen TVs. Serving Phillie-tinis (vanilla vodka, pineapple & cranberry juices, garnished with an orange slice & rimmed in red sugar) & 30 beers on tap.